The City of Boulder is expected to join a climate change lawsuit targeting “fossil fuel producers,” and will likely announce the litigation tomorrow at a rally at the Boulder County Courthouse. Boulder County and San Miguel County will join the City of Boulder at the “Rally for Climate Accountability” on Tuesday at 12 p.m. on the Boulder County Courthouse Lawn. 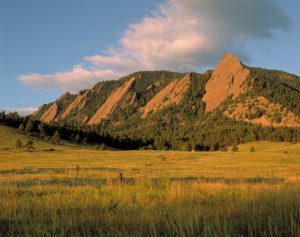 “The Colorado communities of Boulder County, the City of Boulder, and San Miguel County are coming together to announce the launch of a crucial effort in the fight against climate change,” the City of Boulder wrote in an email on Friday. “Don’t miss out! All interested members of the public are welcome and encouraged to attend the rally and learn about these Colorado communities’ new major undertaking in response to climate change,” they continued. EarthRights International, a D.C.-based organization, approached the City of Boulder, according to the Daily Camera. Boulder County Commissioners will meet Tuesday to consider authorization to join a lawsuit. According to the Daily Camera, San Miguel County’s Board of County Commissioners will also take up the topic of litigation in an executive session on Tuesday before the rally. As the details of the Colorado litigation emerge, previous Western Wire coverage details a months-long deliberation, some public and some behind closed doors, as the City of Boulder prepped for litigation. City Attorney Tom Carr told the council during discussion at the November meeting that the lawsuit would be brought by an unnamed law firm on Boulder’s behalf—pro bono—with other Colorado local governments potentially joining as named parties. In his comments, Carr outlined a California model for the potential litigation. “That is, suing under a nuisance or negligence theory in state court, which is what they’ve done in California. Not federal court,” Carr said in video of the council meeting. Lawsuits in federal court have repeatedly failed using the nuisance argument, legal experts told Western Wire in January. A pair of the California lawsuits in Oakland and San Francisco, originally filed in state court, have been referred to federal court. As early as November, Carr indicated that Boulder County could also participate in the litigation. “This Nod of Five would be to basically direct me to work with this group that has contacted [Mayor] Suzanne and find out the details about what they’re planning to do. I understand that the county is also interested,” Carr said. The parameters for the litigation were becoming clearer by earlier in the month, when the City of Boulder City Council discussed the plan of action in more detail. A January 4 agenda item included a “discussion of potential climate change litigation.” Jane Brautigam, City Manager, and Carr, the City Attorney, presented. “[S]pecific large fossil fuel producers (with a substantial presence in Colorado) and/or large in-state greenhouse gas (GHG) emitters,” Brautigam and Carr wrote. They laid out the case against fossil fuel producers in more detail, along with who might join the City of Boulder in bringing the case. The presenters offered three reasons for pursuing litigation now. “The purpose of the litigation would be to seek to recover the additional costs that the city has incurred and will incur because of human-caused climate change,” the agenda states under economic impacts. The pro bono litigation could expose the City of Boulder to potential risks, acknowledged by the City Attorney as early as November. The concern lasted several months, as it was still unresolved by the start of 2018, when Boulder sought further information on risk exposure for the city by undertaking a lawsuit.